They had gone through all the dances and they were about to do the last dance. They sung "Last Song" from their "Outta This World" album. This was the routine where Aston did his jaw-dropping backflips and kart wheels. I watched as he tumble and flipped. It was so incredible. After they had finished Aston strutted over to me, grabbed my hand and pulled me to my feet. "Which dance routine would you like to learn?" He asked me. I smiled and said "The last one." he smiled and pulled me to the middle of the studio. "Why that one?" He asked. I looked at the floor and answered "Its one of my favourite songs and your flips are amazing." He taught me all the kicks, steps and even told me how he learnt to backflip in 30 minutes. He is the kindest, sweetest thing ever. He stepped away and changed the music to a different JLS song, "Close To You" from the first album. "Why did you change it?" I asked. He just said "Shh..." and pulled me closer into a slow dance. We were dancing for a while when Brian came through. "Am I interrupting something here?" We immediately stopped dancing and stood awkwardly facing Brian. "Ur no. Aston was teaching me some dance moves. Thanks Ast. I better be going, text you later." I gave him a quick hug, grabbed my coat and walked out the door. Today had been the best day ever. I shared a slow dance with Aston and we really connected. Can&apos;t wait till next we go out again. The moment was perfect. We were slow dancing to one of my favourite songs, "Close To You". Maria seemed so peaceful and I was really in the moment. Ok, I&apos;ll admit it, I do love Maria. She is the most amazing girl I have ever met. She is different to other girls and dancing with her felt right and we really connected. I looked down and her head was rested on my chest and she had her eyes closed. Suddenly, Brian walked in which ruined the moment. "Am I interrupting something here?" We jumped up and stood awkwardly next to each other. I looked over at Maria to see her dark blue eyes glistening. "Ur no. Aston was teaching me some dance moves. 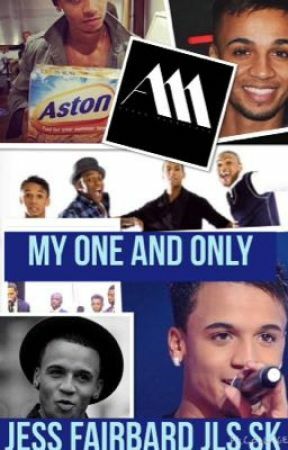 Thanks Ast. I better be going, text you later." she said quickly and hugged me then walked out the room as I nodded. I got my stuff and said goodbye to Brian and left to go home. The moment me and Maria had was magical. None like any other girl. That perfect moment.